The MIT Museum hosts a surprisingly diverse range of exhibits and events, but their outreach efforts were being hampered by an aging digital infrastructure. 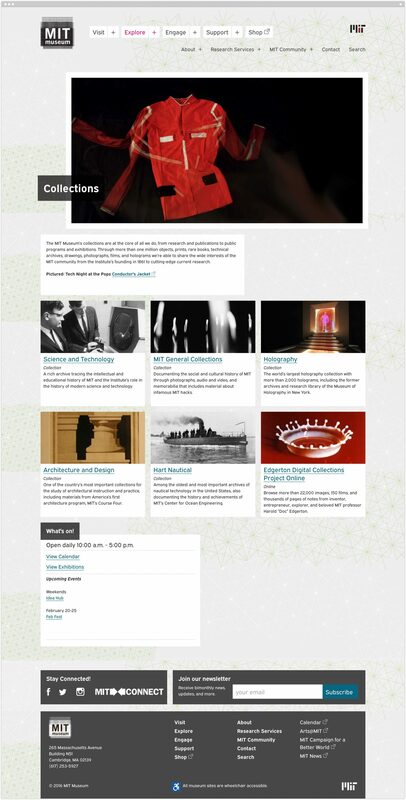 Interviews of teams across the Museum revealed a wealth of content opportunities waiting to be tapped. 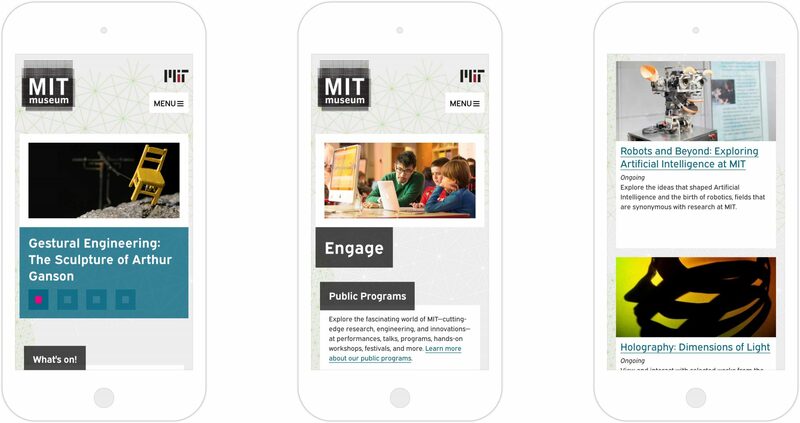 A lean organization, the MIT Museum needed a new web presence that streamlined both the visitor experience on the one hand, and the management process on the other. 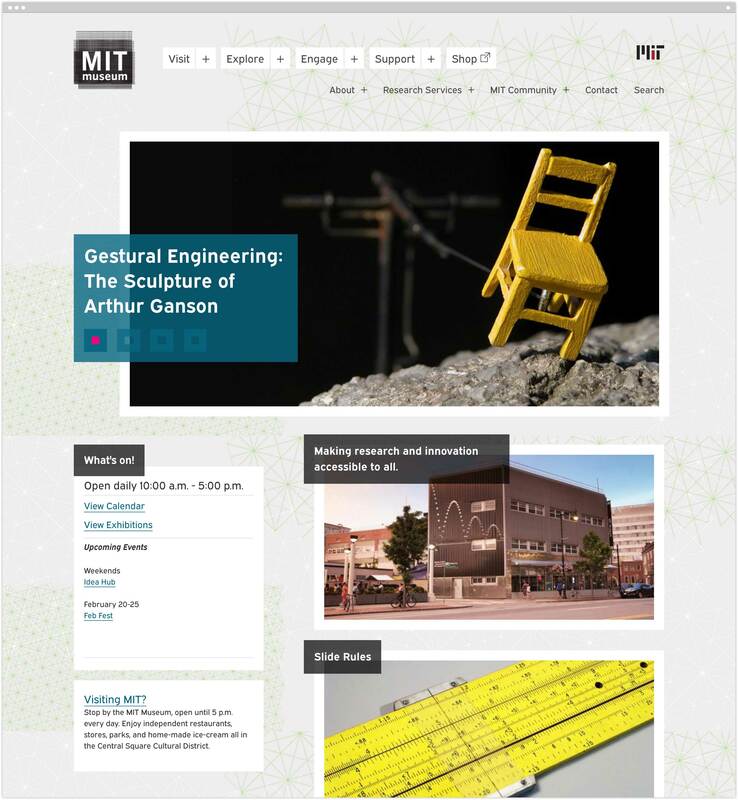 With these opportunities and constraints in mind, we architected, designed, and built a site that, through dynamic content flows and distributed authorship, allows the MIT Museum to deliver better content—more quickly, more intuitively, and more stylishly—all within the constraints of MIT’s Drupal Cloud platform.